Though I vowed never to see another Kevin Costner movie after watching Waterworld, (a promise I subsequently broke in 2007 by accidentally watching The Upside of Anger on cable), I never made such prohibitions against listening to his music, until now that is. 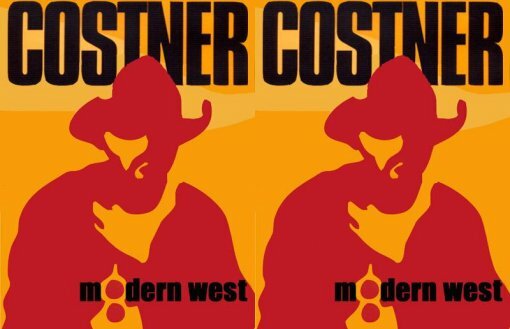 Well, since I haven’t actually heard anything off of the new album, I can’t say whether this new CD from Kevin Costner and Modern West is as good as one of the offerings from such fellow thespians as: Don Johnson, Bruce Willis, The Bacon Brothers, Lindsay Lohan, Jennifer Love Hewitt, Robert Downey Jr., Patrick Swayze, Eddie Murphy, or the host of other actors who have made career defining records over the years. But, if you’d like the chance to hear the music for yourself while getting up close and personal with Mr. Costner, tickets for his show at The Blender Theater on December 3 go on sale tomorrow (11/01). PS The fact that by ironically blogging about Kevin Costner, I am giving him the type of free publicity that he probably desires is not lost on me.